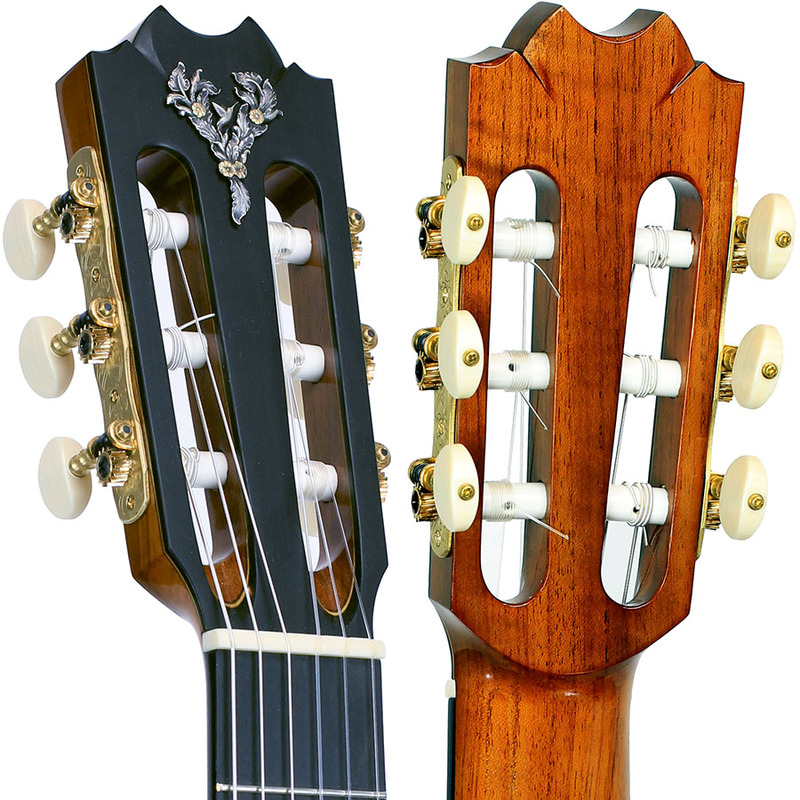 Model: Classical Julio Malarino started as a self-taught guitar builder in the 90´s and now is probably the most well-known guitar maker in Argentina. 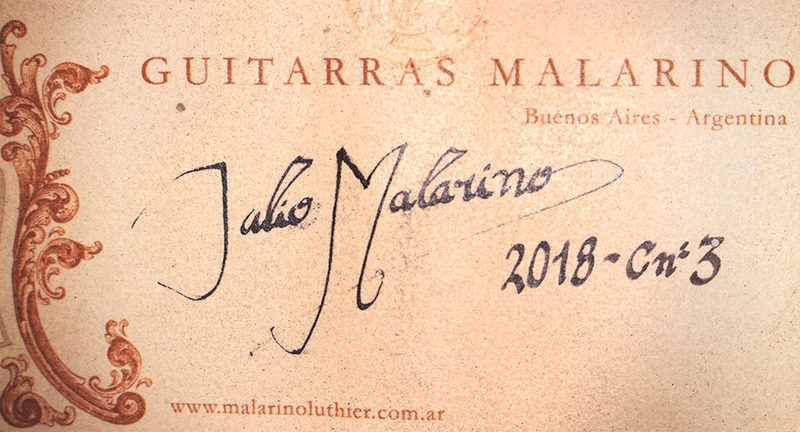 He is a recognized member of de Argentinian Association of Luthiers (He was president and vice-president in many opportunities), Malarino´s school of lutherie ¨El Virutero¨ is the also the most prestigious educational space for guitar makers in the region. 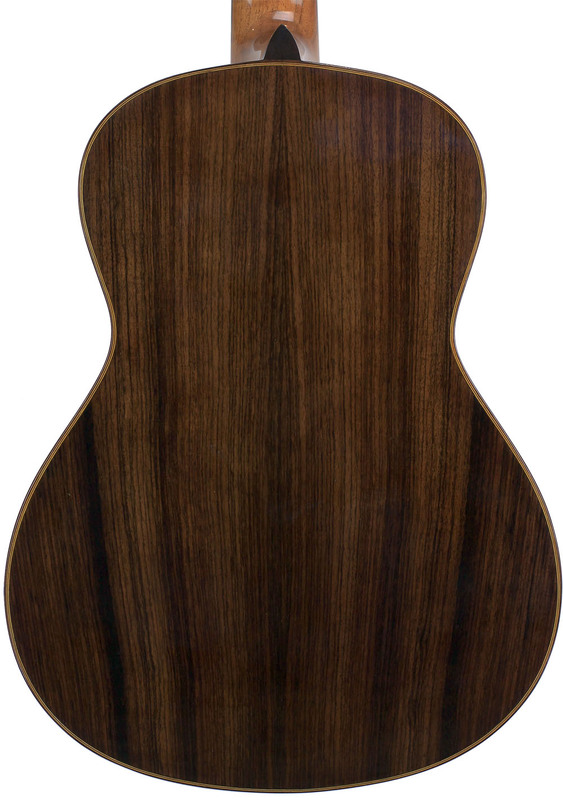 His guitars are traditional instruments with contemporary thinking, carefully honed playability and aesthetics, strong but lightly-built, and luxuriously designed including gold and silver deeply hand chiseled jewelry. He produces well-balanced guitars with notes that achieve a deep bass, a warm mid-range, and clear, singing trebles. 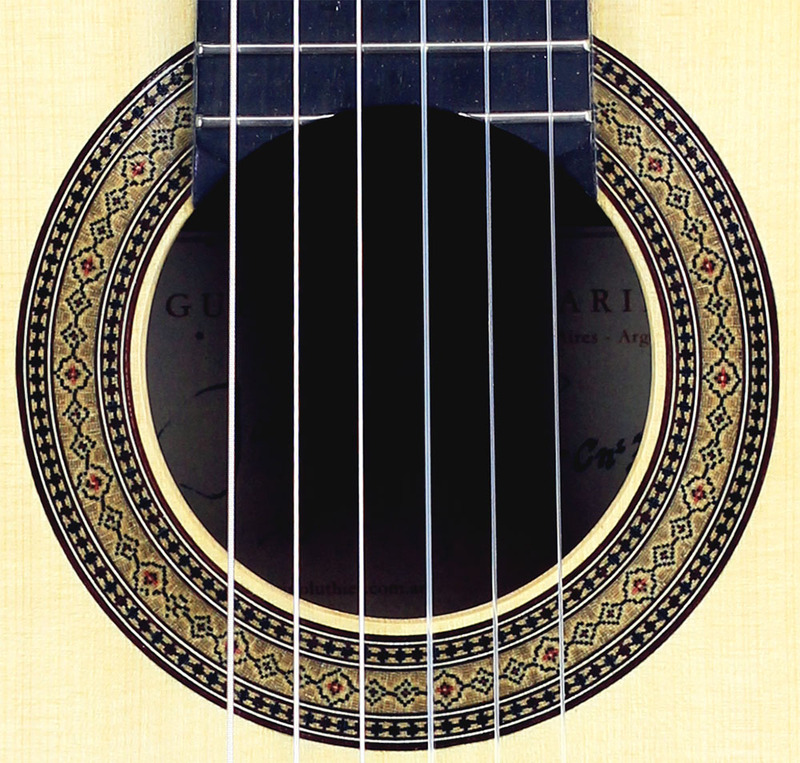 His guitars possess a sound which has great balance, genuine charm, with effective sound projection. 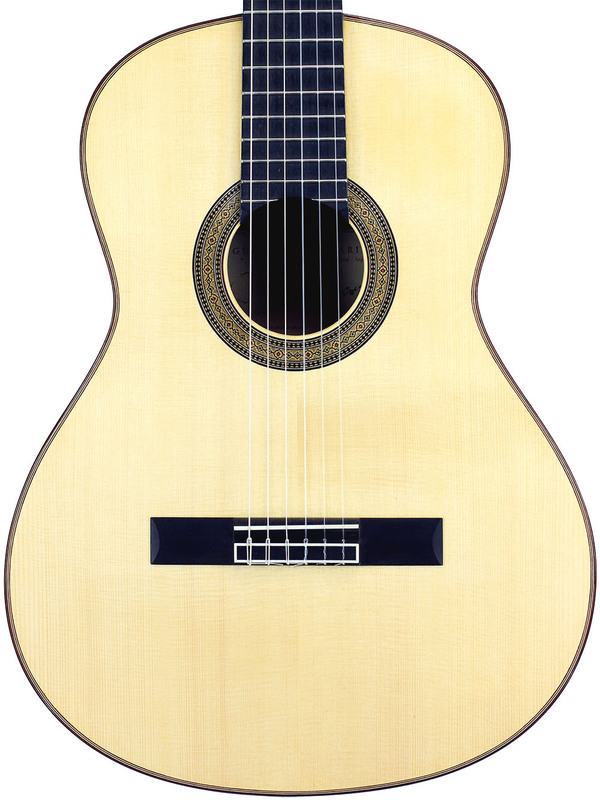 Malarino guitars are touring the world with musicians such as Guinga, Ernesto Hermoza, Carlos Dorado, Luis Salinas, Quito Gato, Daniel Corzo among others.